The last few weeks have been super busy hence the lack of posts (my bad!) so I thought I’d do an update post! So what have I been up to? Well, firstly, I’ve been working more hours due to some people leaving work so by the time I get home I’d have dinner and then straight to bed! AND also the fact that I’ve been SO good I cycle to work pretty much everyday now (1 hour and 10 minutes in total for the return journey! ), which means by the time I get home I’m knackered! But good work out yeah? It’s great because now I much prefer cycling only coz I know I can sleep in and don’t have to worry about bus times and believe me buses cause me a great deal of stress when I have to take one now! Thirdly, I’m cutting down on the amount I’m snacking! I don’t eat much chocolate/biscuits/breads/crackers/crisps etc. now. So, so far it’s all going well!! The cycling is on top of all these challenges I’ve set on myself so I feel like I’m getting pretty fit! Going to Santa Ponsa with my friends at the end of August, so fingers crossed I’ll be “beach body” fit by the end of this challenge! Hehe, but more so I’ll be much healthier too by not eating all the junk (I’ve turned into a terrible sweet tooth! Eeeek!). I’m enjoying the challenge and have got some of my friends to do it and when you’ve got a few doing it, you guys can help motivate each other! Some of my friends are giving up smoking instead which is even better! Hehehe. 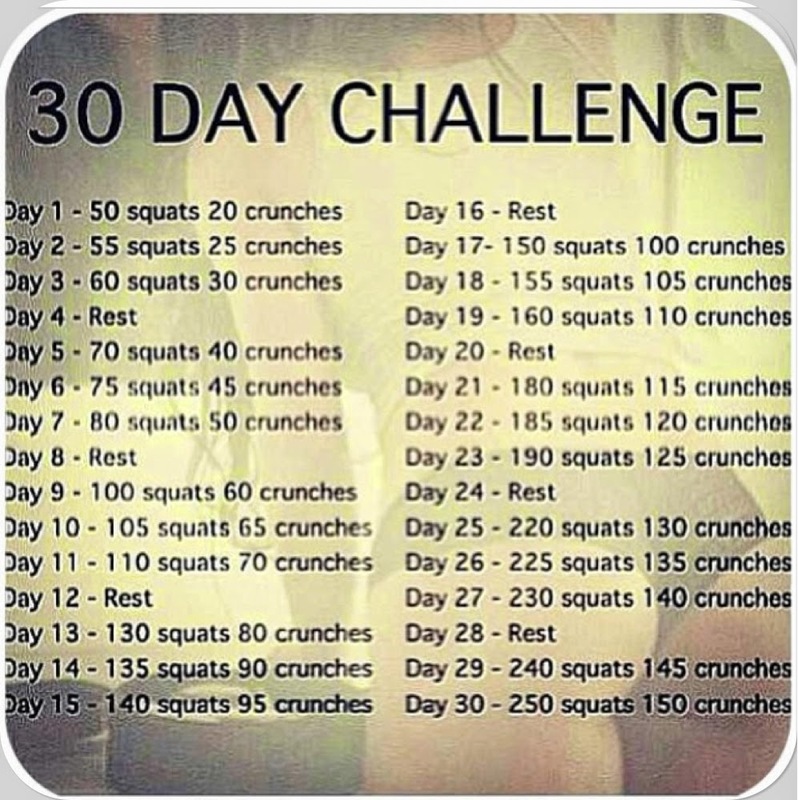 Setting random 30 day challenges is good because 30 days sounds achievable and not long unlike setting a year goal! *nods* yup yup yup! So best of luck to those who are trying out the 30 day squat and abs challenge and also to those who are trying to give up smoking!